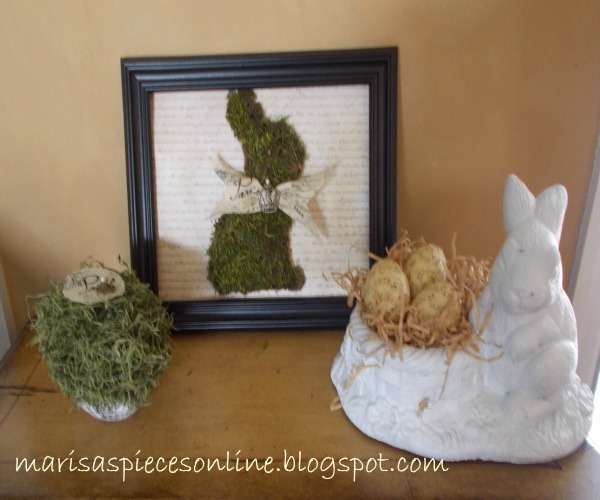 Marisa's Pieces: Moss Bunny, Moss Egg and Sheet Music Eggs....Oh My! 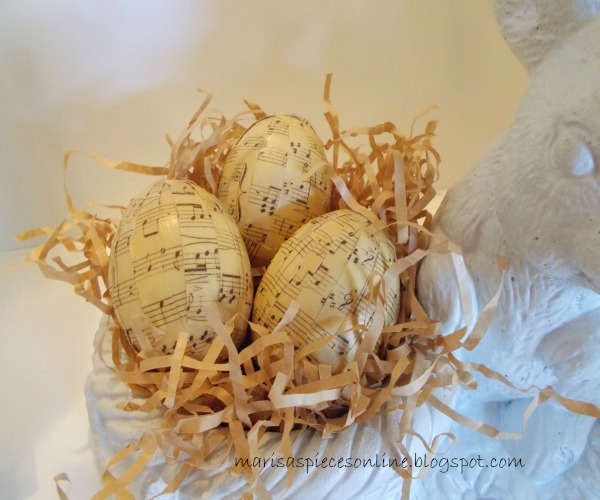 Moss Bunny, Moss Egg and Sheet Music Eggs....Oh My! I have been in a put moss on everything mood lately.LOL.... 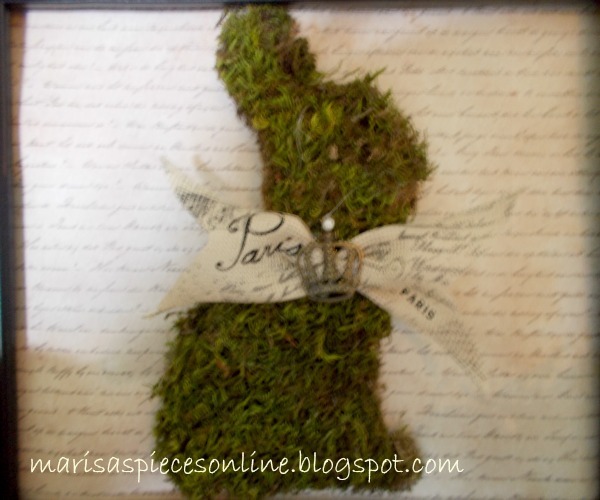 I found some foam shaped bunnies at Michael's and glued it to the sheet moss and then cut around it. 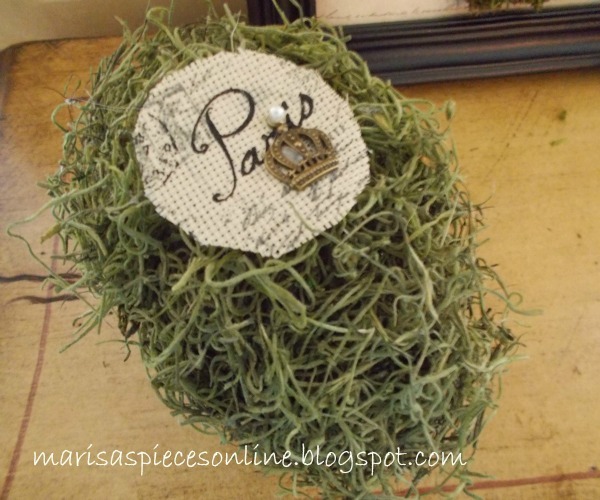 I found this pretty french ribbon at Hobby Lobby and in the dollar section at Michael's I found these crowns. My inspiration for this egg is from the blog, Room to Inspire and the tutorial on how to make this one is here. She is no longer blogging but I did send her an e-mail and she might come back to the blogging world.. She has so many great ideas that inspired me(that I had to copy)LOL.. I hope she returns to blogging. The only thing I did different was use the green moss and the french ribbon. I also used up some of my plastic eggs by decoupaging this sheet music scrapbook paper to them. My bunny is concrete and has been outside and I decided to paint it white and put the felt circles on the bottom and use it inside. This was also an idea from Room to Inspire with her bunny and you can see that here. Love it all ...Thank you so much for linking up and Sharing at One More Time Events.